I did not come from a horsey background and everything that I have achieved has been through hard work and determination to succeed. I was bought up in the city, but my love of horses has been with me for as long as I can remember. I first started riding at the age of 12 and I now have over 35 years of experience & expertise to help my clients. 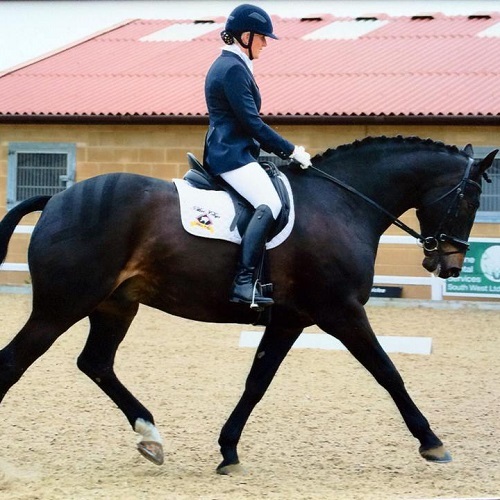 Having trained at Talland & Huntley I now hold the British Horse Society BHSII, a world renowned professional qualification & I am also a UKCC Level 3 coach in Dressage, Show Jumping & Eventing. 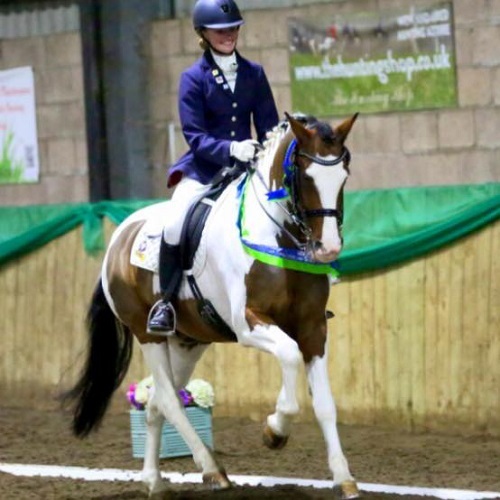 I have successfully trained & competed horses in a wide range of disciplines, including dressage, show jumping, eventing and county level showing. Karen has also bred horses from her small Elite stud, many of which are competing at top level. As a highly regarded trainer in the area, I have trained countless numbers of successful riders at all levels, including some who are now trainers themselves. I regularly compete a range of horses, often problem horses that most other riders have given up on, therefore I enjoy rehabilitation and retraining of such horses. I have ridden for my county, region and country as an England team rider for British Dressage & I have also ridden at HOYS. I have a wealth of experience training horses from foals to full grown, & I am one of the few trainers happy to teach children and adults, from beginner to advanced level. Powered by Bespoke Brand Developers.